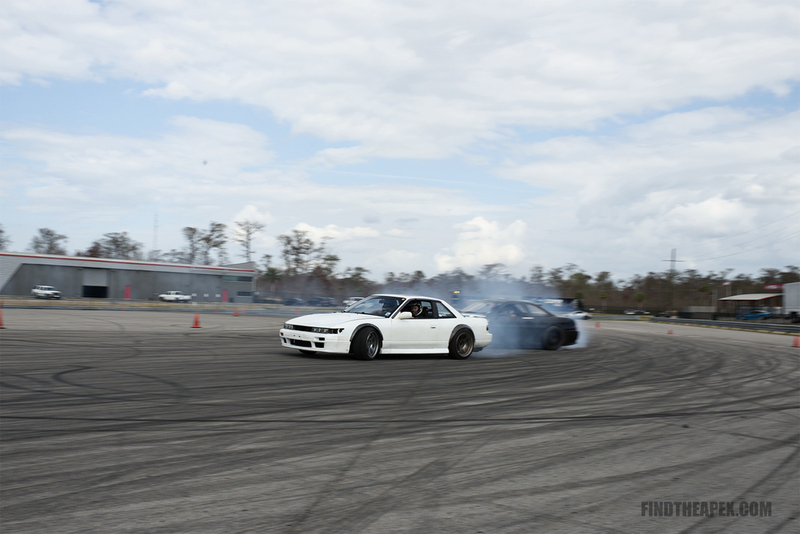 Drift season has officially started for 2015. The weather forecast was for rain and more rain as the day progressed. So I was a little nervous driving towards the track. Once there I was not as worried, it was cloudy but there wasn't a dark cloud in the sky. I arrived and heard the roar of cars on the road course. I had a little time before the driver's meeting for the event, so I went to check things out. Before I knew it, I had to leave the track side and head over to the driver's meeting. This is where I begin taking mental notes, trying to figure out the best location to get photos. 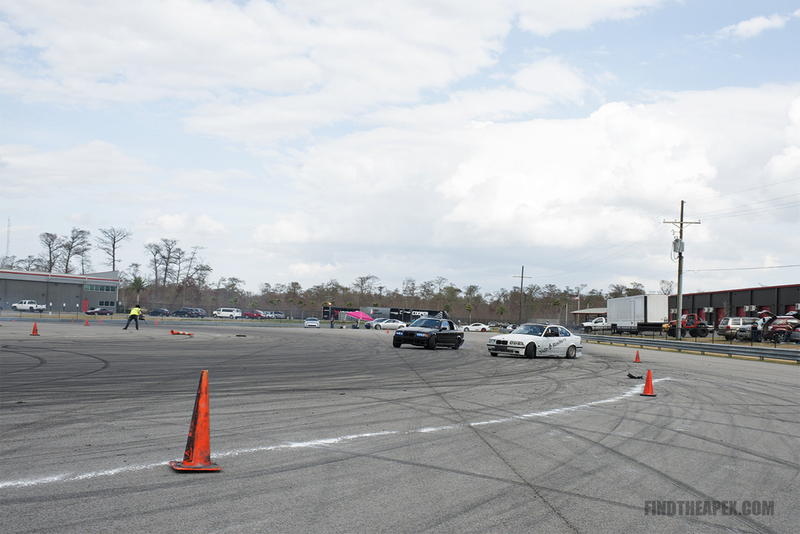 The track layout was a little different from previous events. It was in "reverse", which allowed me to shoot with my back towards the sun. Combine that with some cloud cover, it provided from some ideal shooting conditions. After waiting around, I scouted for the ideal location, I found a place that would give me different looks. The first part would have the cars coming towards me. Then getting the backs of cars as they transition into another corner. Two different looks without having to leave an area or have a remote camera. After awhile I had to take a break from the heat and head in. 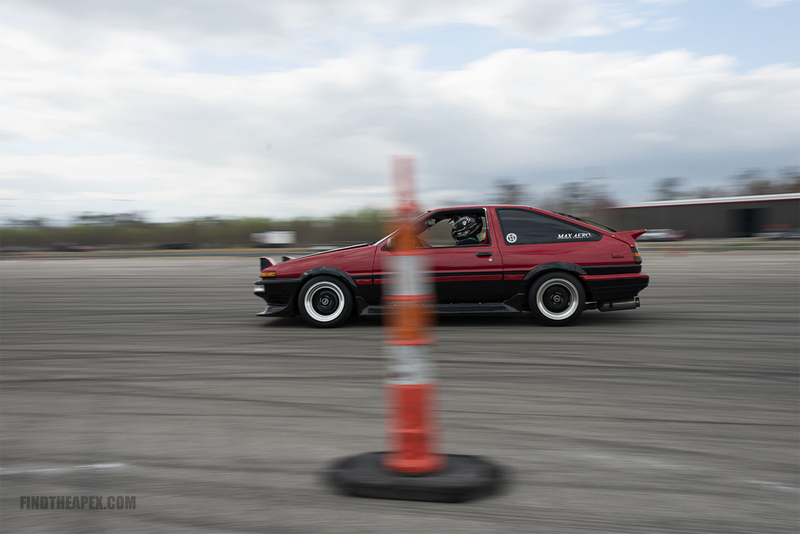 On my walk back I grab some images of people watching the action on the track. After taking a short break, I switch from a 70-200mm to a 35mm. 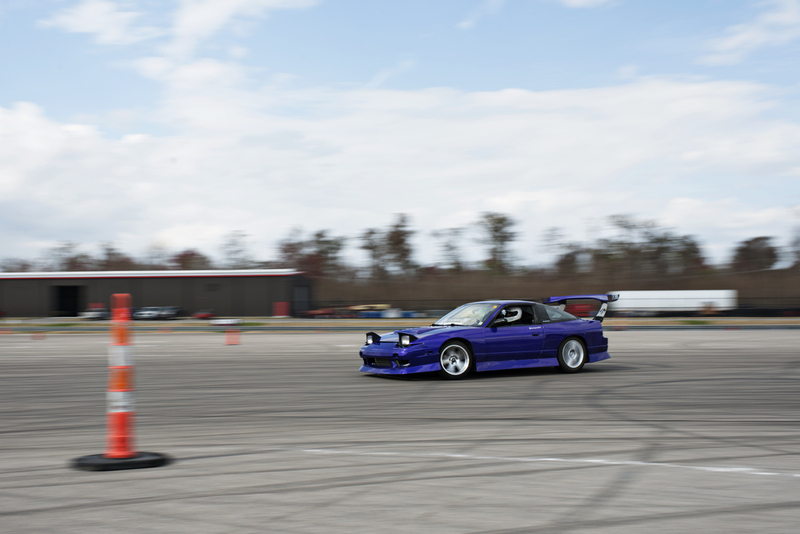 It changes my perspective and allows me to capture the tandem drifting. While I love getting close ups of the action, there is something unique about a wide angle image. Just like that the day has come to an end. 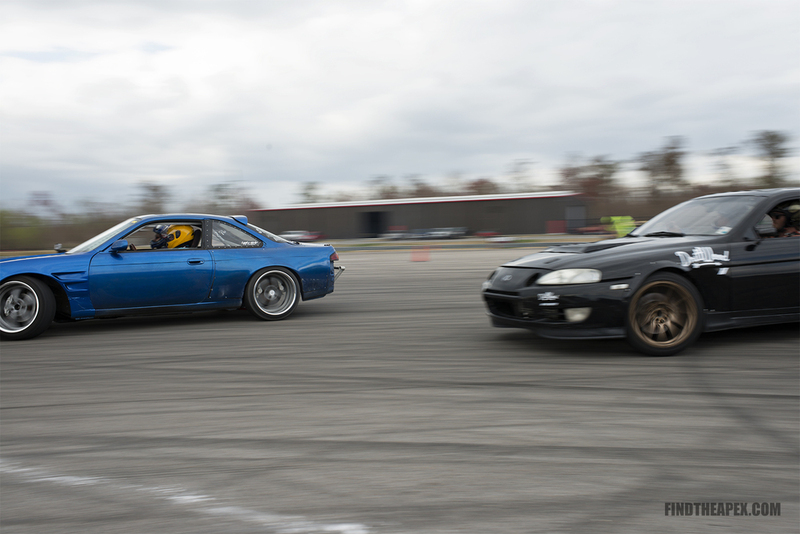 Everyone ends up having a great time, watching some drifting and enjoying each other's company.